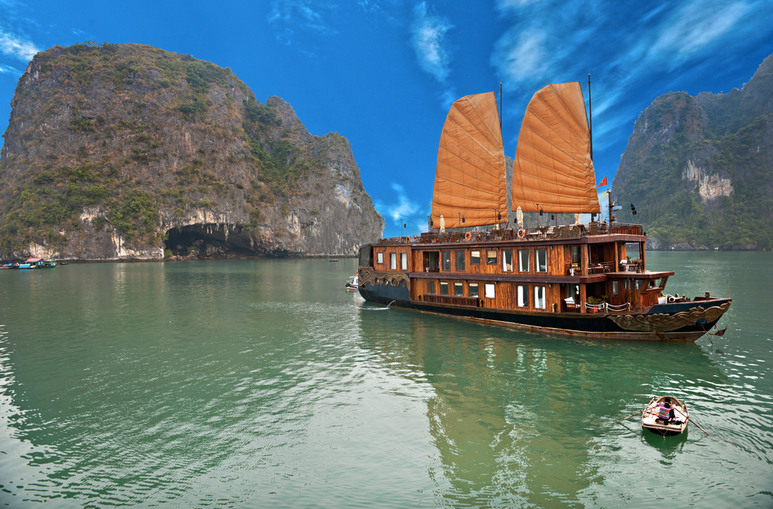 On this Spirit of the Bay Ha Long Bay Cruise, you'll have the chance to admire the interiors of a beautifully restored wooden trunk & the sublime beauty of the limestone karts jutting out of the jewel-like waters. 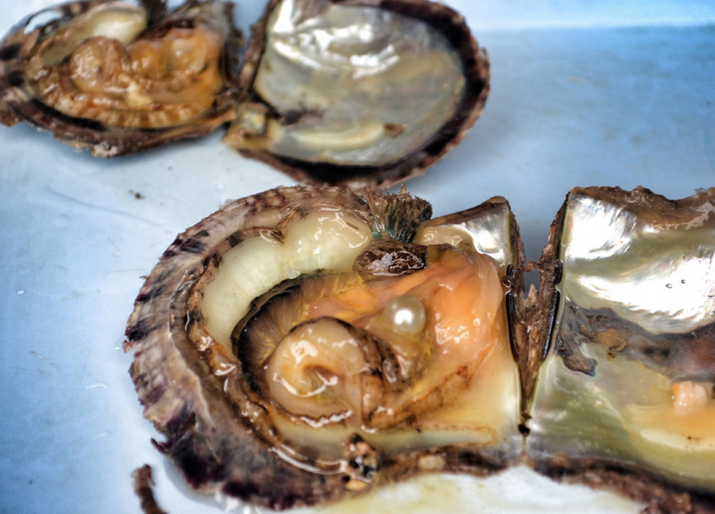 A visit to a local Pearl Farm & a leisurely cruise through the Kiem Lam area is included on your first day's stops. The Kiem Lam Area is a secluded bay within the Cat Ba National Park, a World Heritage Site that is home to several species of mammals, birds, reptiles & exotic plants. Go for a swim, kayak or discover sea caves & secluded bays. Wrap your evening up with a delicious Vietnamese cooking demonstration from one of the on board chefs. 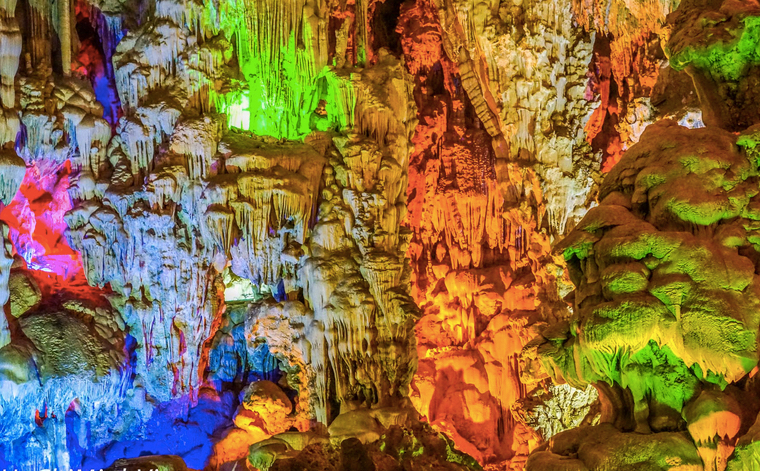 On your second day, wake up refreshed as the boat motors towards Surprise Cave, the biggest in Halong Bay. While waiting, why not try your hands at Tai Chi, an ancient form of Chinese exercise that will surely take away any lingering stress you might have. Next, you'll take a short trip to Surprise Cave where the entry point is deceptively narrow. 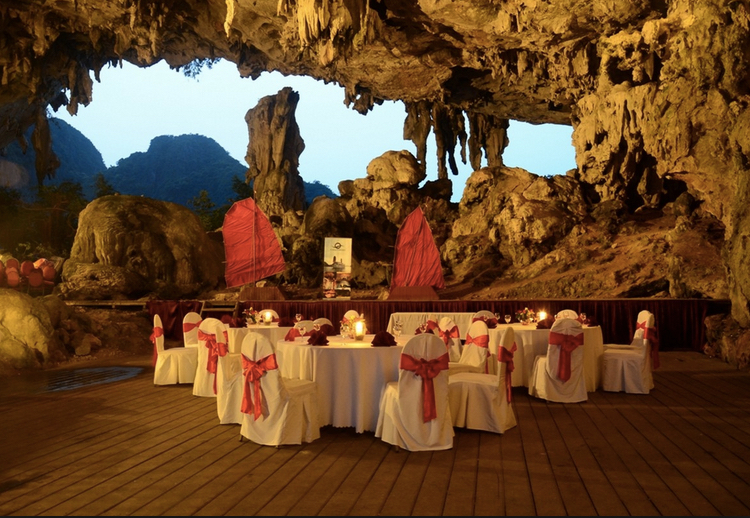 Once you're through, the cave opens up to a large chamber with impressive limestone formations. Then it’s back to the boat where you'll cruise to Halong Port for your drive back to Hanoi thus ending your Spirit of the Bay Ha Long Bay Cruise .